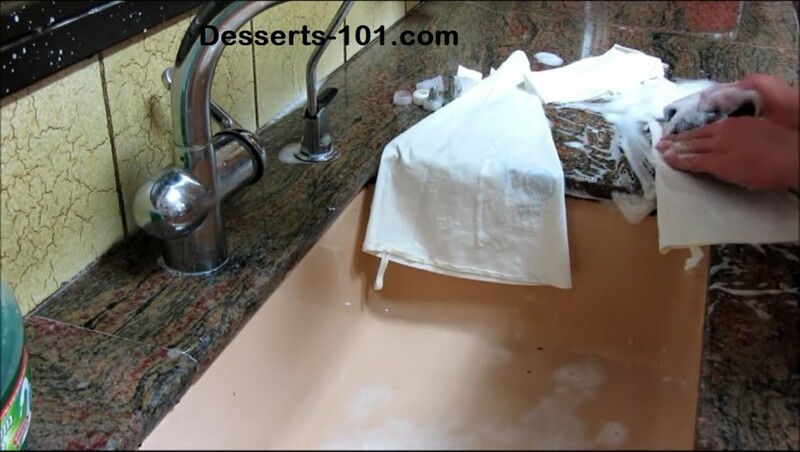 You will find plenty of videos on how to fill and use a pastry bag, but very few on how to clean one. This is your lucky day. Today’s video is how to clean a pastry bag. My good friend Pastry Chef Gretchen Price is a former owner of Woodland Bakery in Chatham, NJ. She also operated two former web blog one as CrumbBoss.com and the other was WoodlandBakeryBlog.com. New site is Gretchen’s Bakery. You will find some of the best recipes on the internet. Gretchen also sell several cake decorating kits which I reviewed when she was “Crumb Boss” several years back.